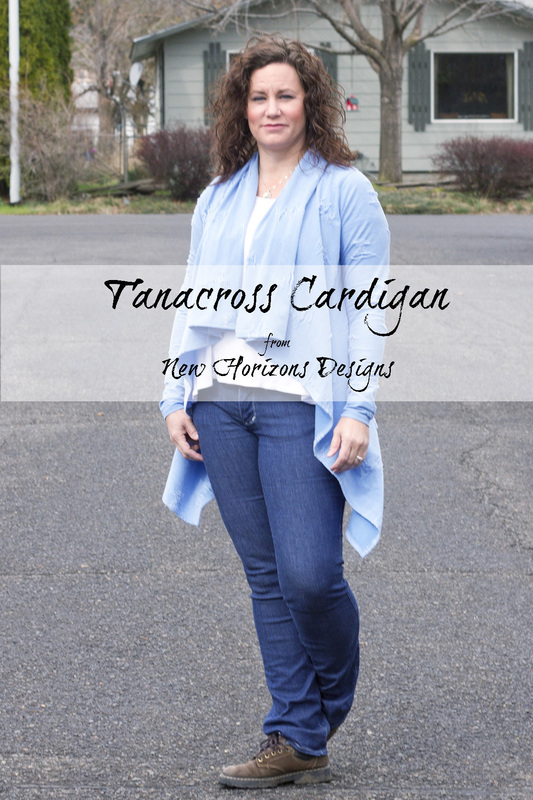 The all-new Tanacross Cardi from New Horizons Designs is here! 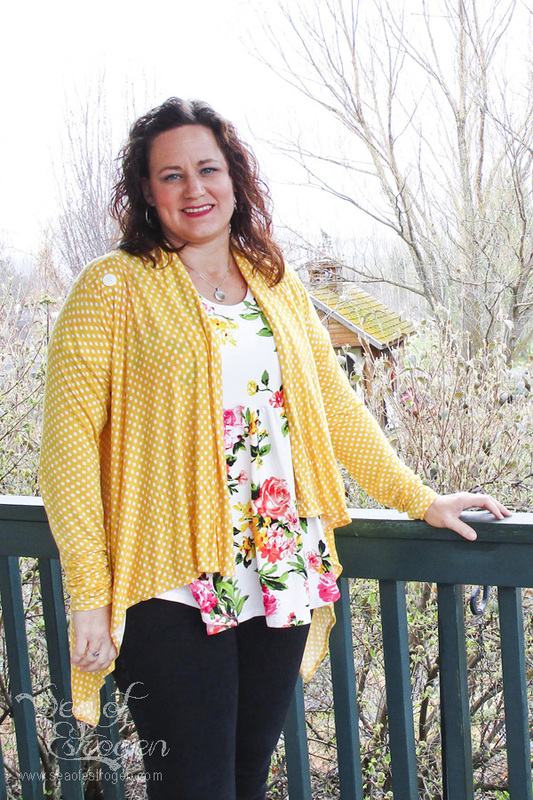 It is easy to look stylish and sleek in this cardigan all while being wrapped in comfort! The Tanacross Cardi features a cross-over wrap style with long sleeves. It includes options for hip and knee lengths and fringe. 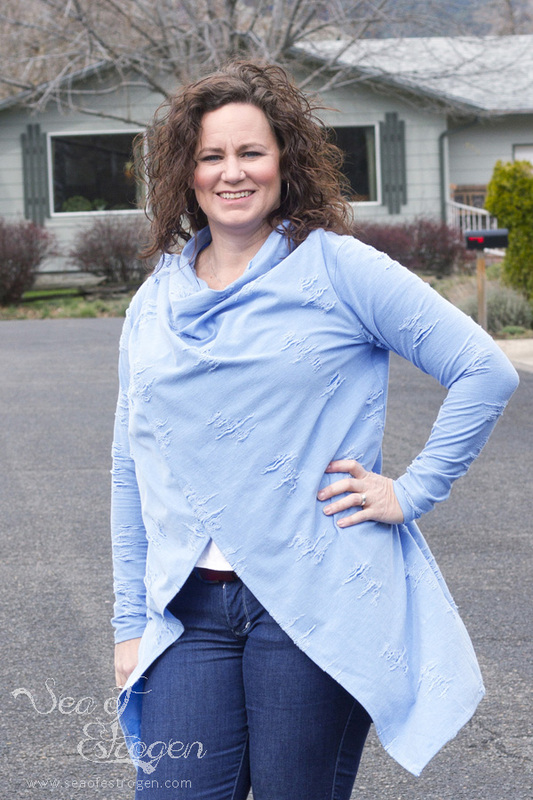 Wear it open with a waterfall front, or closed with a wrapped cowl neckline. The Tanacross includes sizes XXS through size 26, and it is designed for knit fabric with at least 25% stretch. 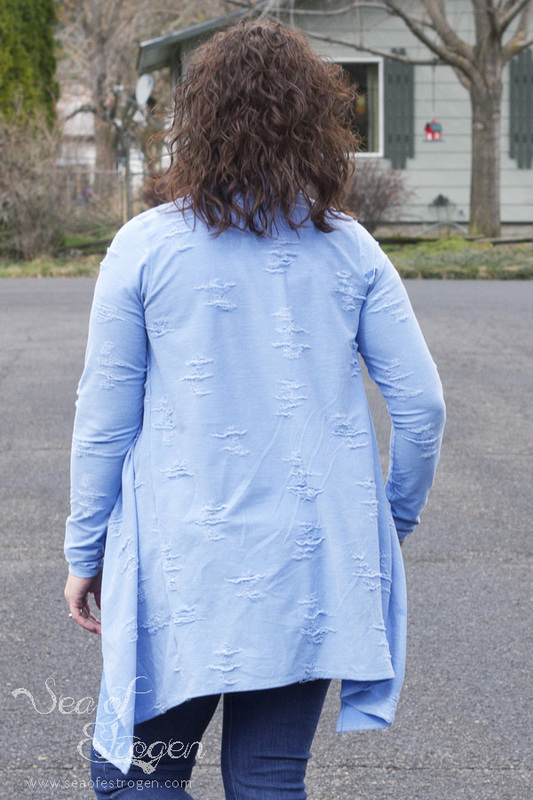 The cardigan closes with a button on each shoulder – one inside on the left shoulder, and one on the right shoulder. Simply button each crossover piece, and you have a completely different look! I made two versions of the Tanacross Cardigan. 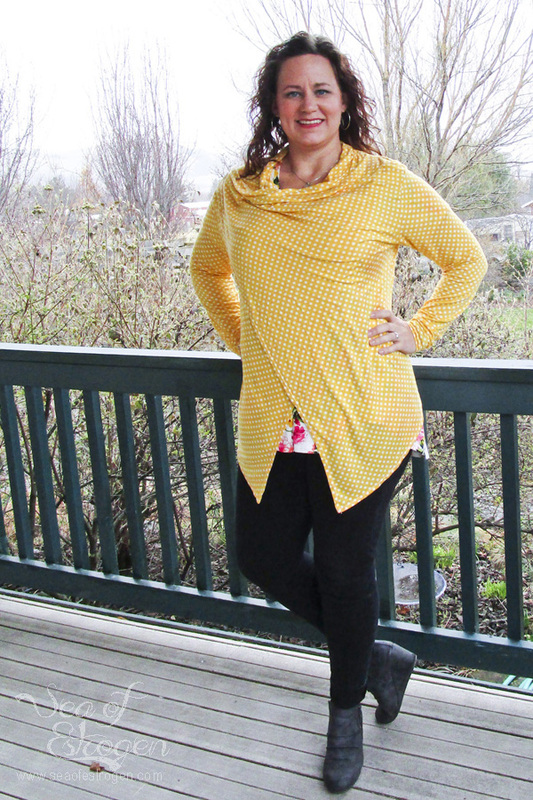 The first one I made using this bright, cheerful yellow with white polka-dot rayon spandex from Mily Mae Fabrics. I made the hip length version. Originally I was going to include fringe, but it did not arrive in time. 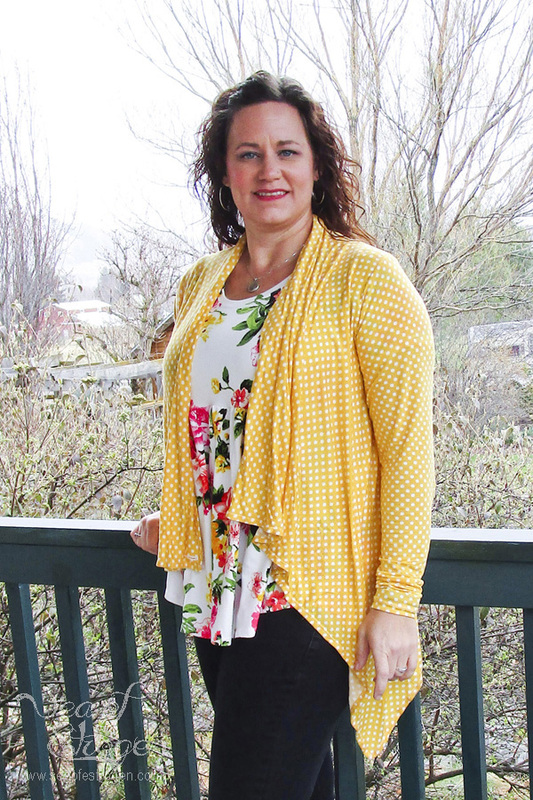 I love how cheerful the fabric is, and the fit of the cardigan is amazing! 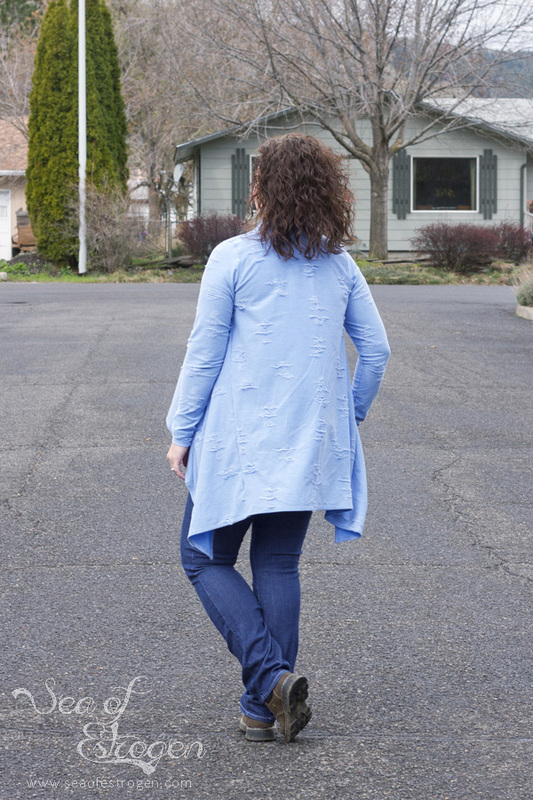 The second Tanacross Cardi I created using this gorgeous blue distressed knit, once again from Mily Mae Fabrics. For this version, I used 1/2″ buttons instead of the 1″ buttons called for by the pattern, and I like the result a lot better. This distressed knit is also quite a bit more stable than the rayon spandex, so the cowl holds its shape a lot better, as well. 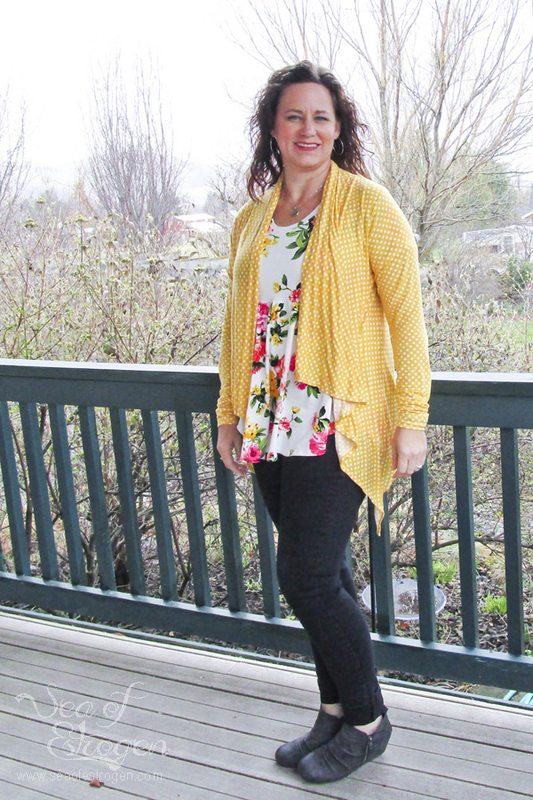 The Tanacross Cardigan is on sale for $7.00 through April 11th (after the sale it will be $9.95), so grab it while it’s still on sale. Join the Facebook Group to see more pictures and share with other New Horizons Designs fans. My office at work is always cold, and I am frequently looking for cardigans to wear to work over my normal tops. 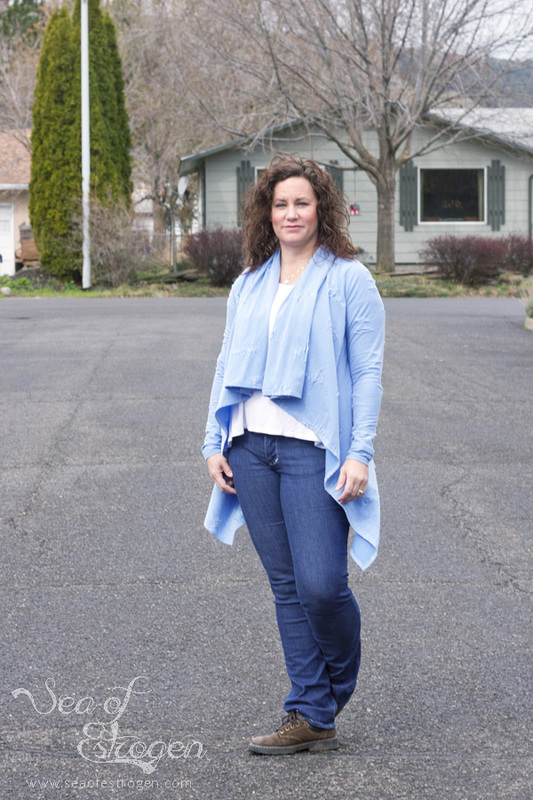 The Tanacross Cardi is perfect for that, and it is already in heavy rotation in my wardrobe! I love it!